Returning to Aberdeen, THE WORD BIRDS: a flock of women poets who perform UK wide, taking a bird's eye view of the world of human relationships. Our line-up for this event will be Jean Harrison, Jennifer Copley, Sue Vickerman and Elizabeth Burns. Join us on our flights of fancy — and prepare to have your feathers ruffled. Jean Harrison's mother worked with all the enthusiasm of a Scot in exile to see that Jean was well-informed about a mysterious, half-mythical world that lay North of the border (her accounts enriched by the work of Robert Louis Stevenson and Sir Walter Scott). This gets into her poems alongside her experiences in Yorkshire, West Africa and North-West Kent. She was a member of the Poetry Business Advanced Writing School and has had a good number of poems published in magazines. One was short-listed for the Forward prize. Her first collection is coming out with Cinnamon Press in April. Jennifer Copley lives in Barrow-in-Furness in her grandmother's house where her roots go down through the floorboards. 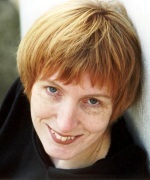 She was South Cumbria's Poet Laureate in 2005 and has published two pamphlets (Smith/Doorstop and Arrowhead) and one full-length collection, also Arrowhead. Her next book (published by Smokestack) will be coming out in October. Jennifer's work has been described as "charming, sensuous and disturbing" with a "magical-realist" twist. Although she has been rained off so many times in Scotland (including on her honeymoon) it has not stopped her visiting and enjoying the country. Her son claims to be the reincarnation of William Wallace. Sue Vickerman's second collection The social decline of the oystercatcher (Biscuit Publishing) is "witty, loving, long-sighted" (U. A. Fanthorpe), "piercingly topical" (Magnus Magnusson), and Sandy Toksvig "loved it". 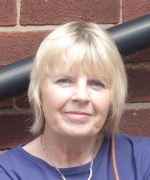 Sue has toured with the Arrowhead poets — her pamphlet Shag was published by Arrowhead Press — and has received grants from the English and Scottish Arts Councils to support her poetry, short stories (anthologized by Virago, Diva Books, etc.) and novel. After five years living in a lighthouse near Aberdeen she has recently returned to her native Yorkshire. 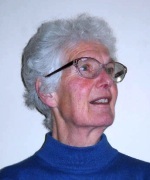 Elizabeth Burns has published three collections of poetry, most recently The Lantern Bearers (Shoestring Press, 2007) — reviewed as ‘Very potent writing: powerful and enjoyable’ — as well as several pamphlets with the Orkney–based Galdragon Press. Though now living in Lancaster, she has spent much of her life in Edinburgh, and her first book was shortlisted for a Saltire Award. 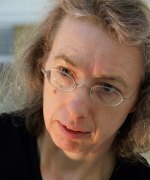 Her work appears in many Scottish anthologies, including Twentieth Century Scottish Poems (Faber, 2000), Dream State: The New Scottish Poets (Polygon, 2002), Contemporary Women Scottish Poets (Canongate, 2003), and 100 Favourite Scottish Poems (Luath, 2006).